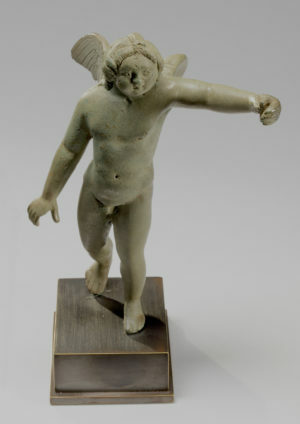 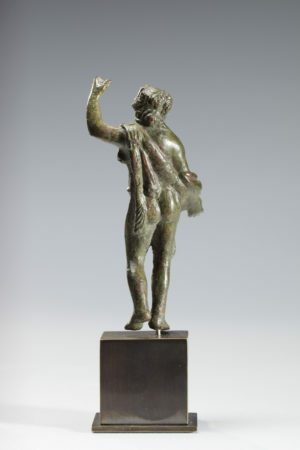 Under the influence of the Etruscan culture and with a great passion for Greek art, their output of marble and bronze sculpture was enormous, but with a different orientation in mind, since they designed rather for state purposes such as propaganda of the emperors themselves than for religion. 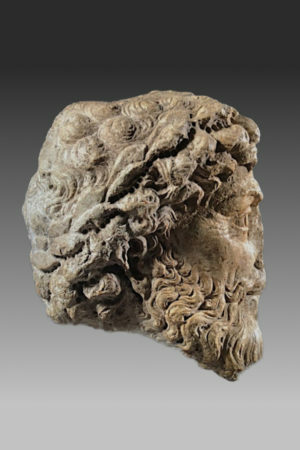 Their main contributions to art were the creation of realistic portraits and statues, as well as many historical reliefs, which was a great help in understanding the history of that time. 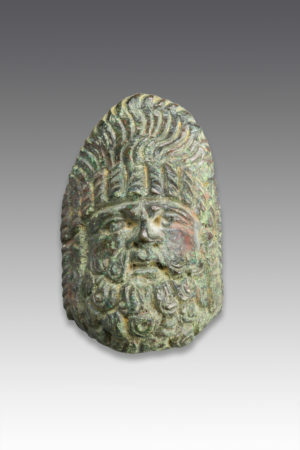 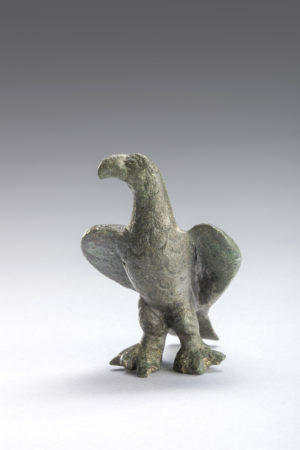 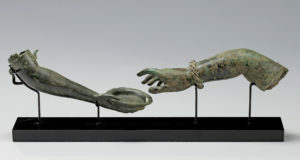 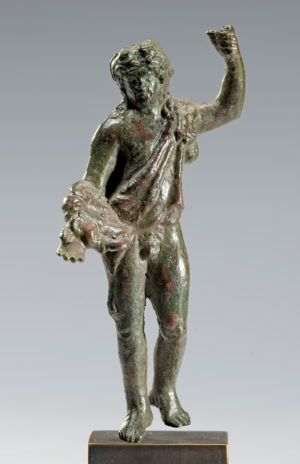 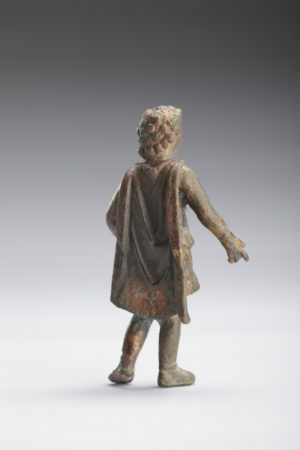 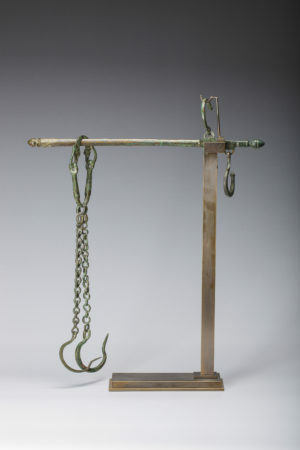 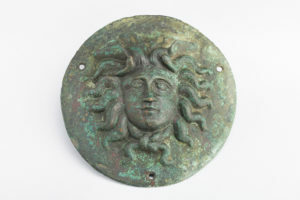 Roman bronzes were seen as decorative and votive objects, but rarely found as grave gifts. 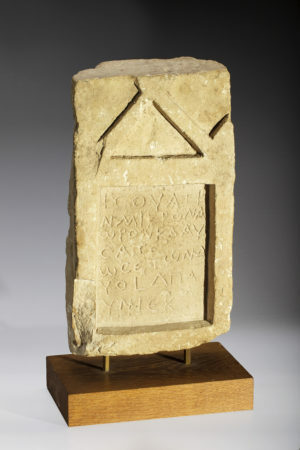 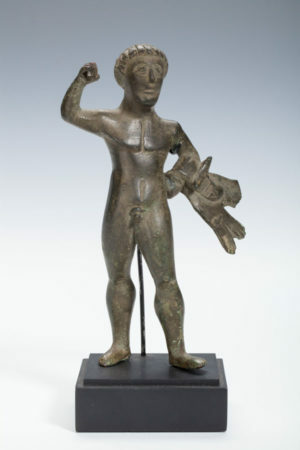 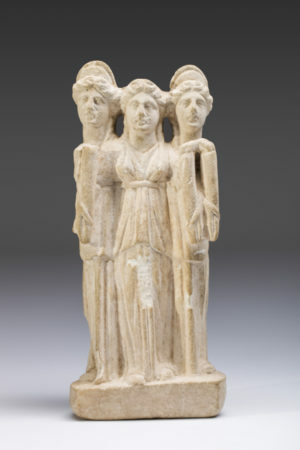 Typical subjects are the gods, favourites were Venus and Amor, Fortuna and Mercurius, while animal figures were popular as well; a new invention is the figure of Lar, a dancing household god, daily whorshipped on the family altar. 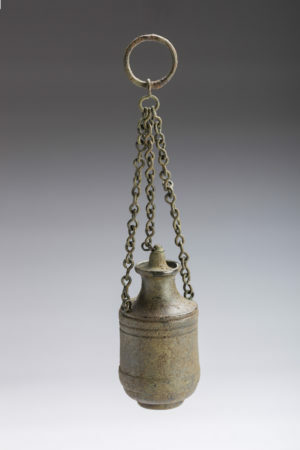 Household objects as furniture, lamps and steelyards were also made from bronze, but the main production was in terracotta like table ware of plates, bowls, vessels and oillamps. 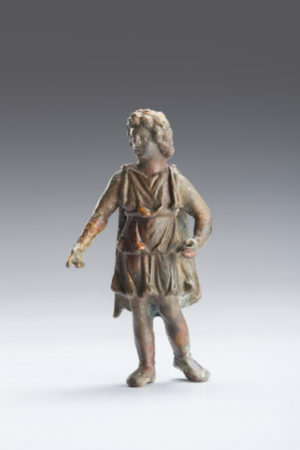 Although glass was already known from the 3rd millennium onwards, the invention of glass-blowing in Roman Syria in the 1st century BC. 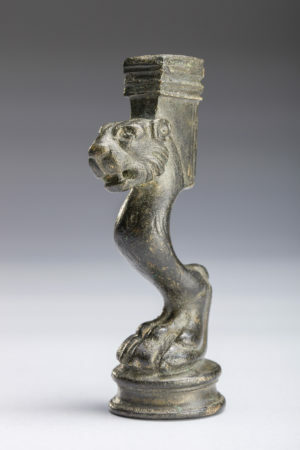 enabled mass production for the Roman market in a vast variety of forms and types, which are also in use today. 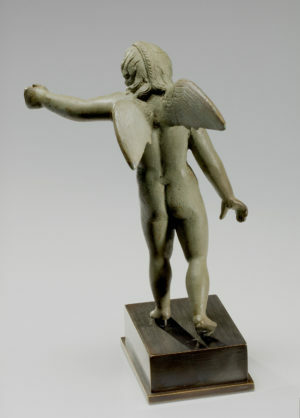 The magic of this fragile glass is the fact that it is still available in great quantities and sometimes even with beautiful iridescence, which is much preferred by the collectors.